Want to take your Instagram game to the next level? Ready to gain thousands of real followers? How about working with some of the most popular brands in the world? #Instagram will go in depth on how to bring your Instagram to the next level. Whether you’re a business or just have a personal account, #Instagram will teach you how to grow your account using real and efficient methods. If you're interested in gaining more followers or likes on your Instagram account, look no further. 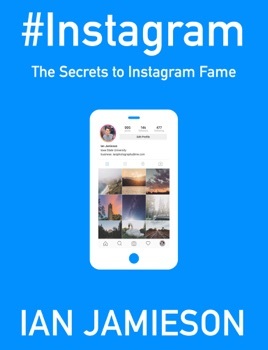 #Instagram was written by Ian Jamieson, a well known photographer and social influencer out of Des Moines, Iowa. With the strategies he has laid out in this book, he has grown his Instagram account, and brought the idea of social influencers into Iowa. He has worked with brands from across the world to help grow their accounts and bring light to their products in a new region. Ian shares his experience in this book and how you too can become a social influencer.